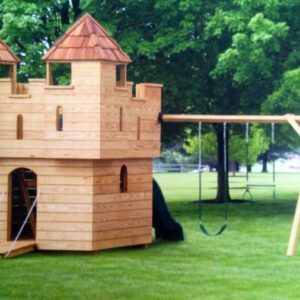 Made from a 40-year tested double kiln dried wood. 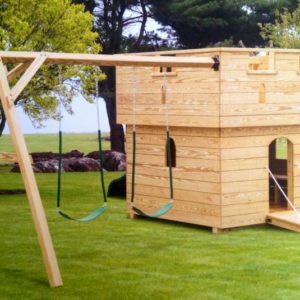 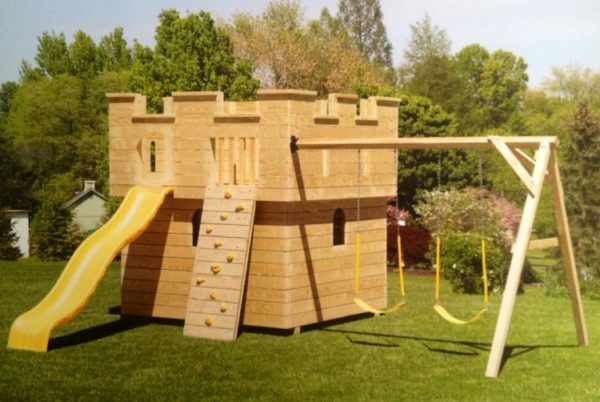 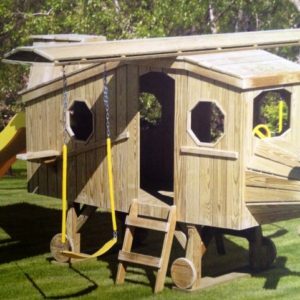 Shown is a medium castle 8′ x 9′, with rock wall, slide and A-frame swing. 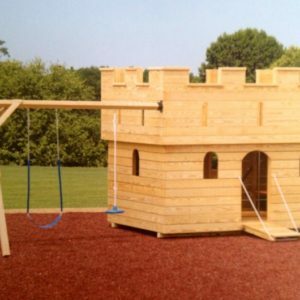 The swings adds 8′ to the length.